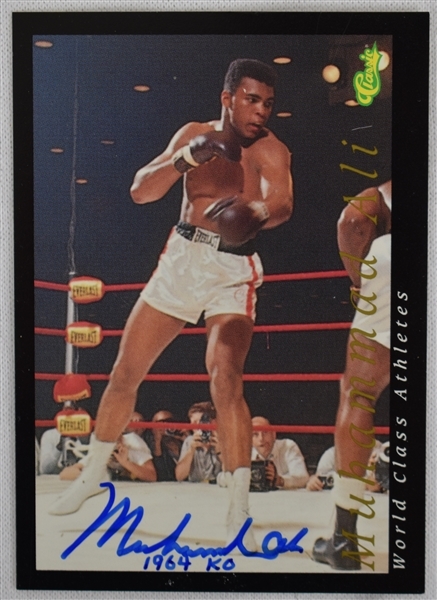 This lot features a limited edition collector card signed legendary boxer Muhammad Ali in blue marker. 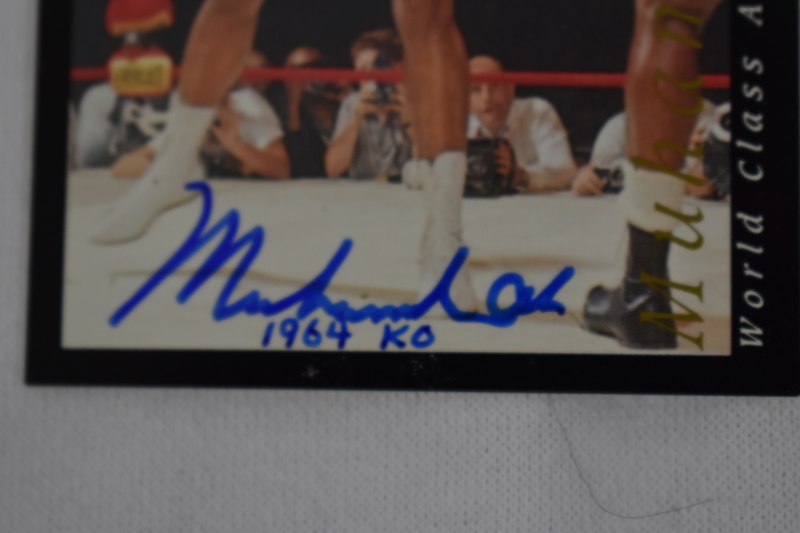 The Champ has added a special "1964 KO" inscription. 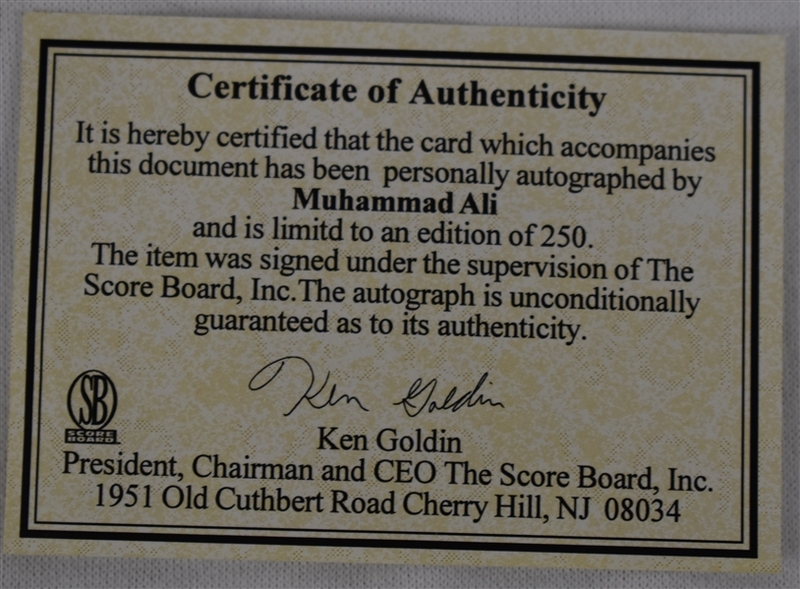 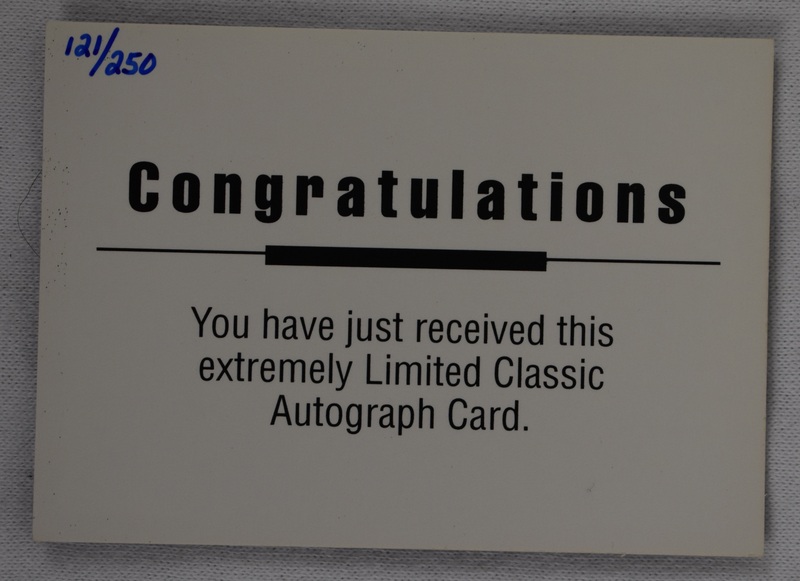 This card is a limited edition of only 250 with this rare card being #121/250. Auction closed on Friday, December 7, 2018.